Last year we held a Petal Release in Roath Park, each beautiful white rose stem tied with messages of love for your dearly departed. This year, we wanted to give you a more lasting memory that will bring you comfort year after year – so we’re giving away wild seeds that when planted in your garden will blossom into beautiful flowers! If you’d like one of these special commemorative Valentine flower packs, simply pop into our funeral home in Birchgrove, or our funeral home in Rumney and our team will be pleased to provide you with one (free of any charge). Alternatively, if you have the love of your life close by on Valentine’s Day to celebrate with, you might be looking for a special way to show them you love them? The funeral is paid for and everything is taken care of. Whilst no one wants to dwell on the fact that death is inevitable – talking about death doesn’t need to be morbid. Nor does talking about death bring it closer. It’s simply about planning your life, together, right until the very end. The last thing either of you want is that when the time comes, that it’s more stressful or lonely than it needs to be. Of course, we all know it will be a difficult time, whoever dies first – and it’s why we offer all our customers free SAIFCare bereavement counselling as a part of our holistic service. But if you can also relieve some of the organisational, financial and emotional stress at that time by having a funeral plan in place, then this final act of love could help ease your beloved’s suffering. 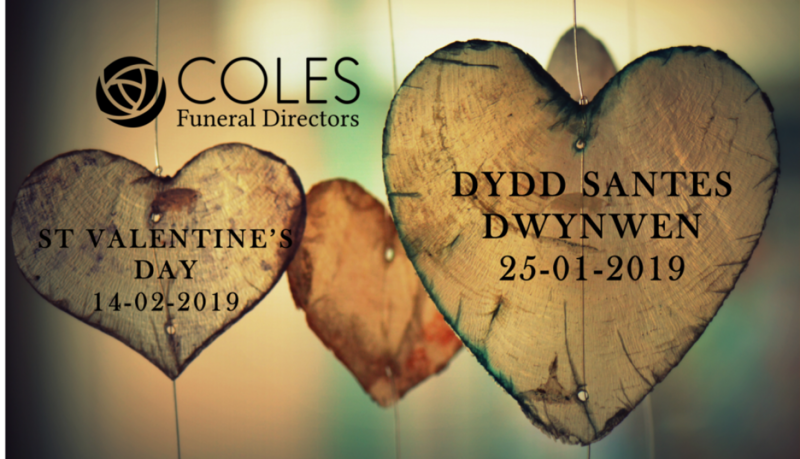 And if you come in to our funeral home in Heath or Rumney together to take out your funeral plan before 14thFebruary, because you have ‘referred a friend’ – we’ll give you a £50 M&S Voucher so you can dine in for two, or treat each other to a little luxury on Valentine’s Day.